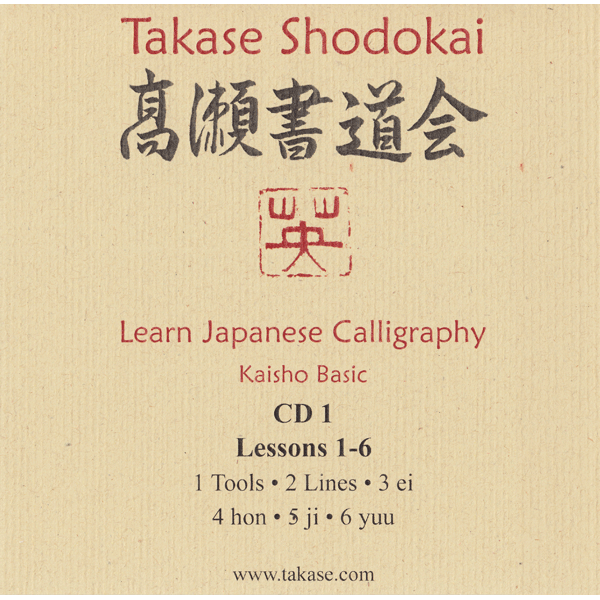 The Learn Japanese Calligraphy Series by Eri Takase is an introductory Japanese Calligraphy course on CD-ROMs. Japanese Calligraphy is all about movement and you simply cannot learn the proper movement from a book. These Learn Japanese Calligraphy CD lessons show videos of Master Takase brushing the characters and give a detailed, point-by-point explanation. You can also print out samples that have the stroke order and brush direction for practicing yourself. 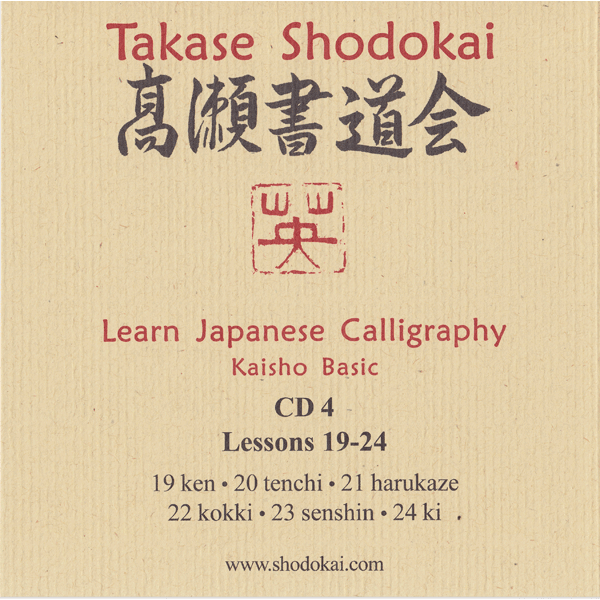 With these CD’s you will be learning proper technique from a Master Japanese Calligrapher. These Learn Japanese Calligraphy CDs cover tool selection, posture, how to hold the brush as well as the basic strokes of the block font. Each lesson covers the stroke order with examples that can be printed and used for practice. We also show common student errors and corrections. We also introduce calligraphy terms and proper pronunciation, though knowledge of Japanese is not required. At the click of a mouse, one can actually hear the proper pronunciation. A useful feature that, again, is not possible with a book. The CD-ROM series is supported on Microsoft Windows, Apple, and Linux. By using a multi-media approach, Takase Sensei is able to teach Japanese Calligraphy in a way that is not possible through books alone. Being able to see the rhythm of the brush along with proper hand position and posture is essential to learning good technique and each CD contains over thirty videos and hundreds of photos.